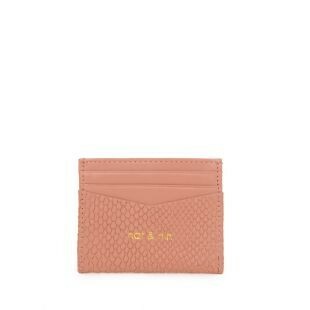 Sleek and chic card cases keep your essentials in check. This reptile leather wallet is just the thing to add a little texture to your outfit, and the smooth zip closure with three compartments is an organizer's dream. This lovely mini card-holder slides into your back pocket and waits patiently for its moment in the spotlight, from morning café to happy hour. Distinctly Parisian with a vintage silhouette, metal clasp and retro-inspired stitching that recalls the iconic looks of Brigitte Bardott. 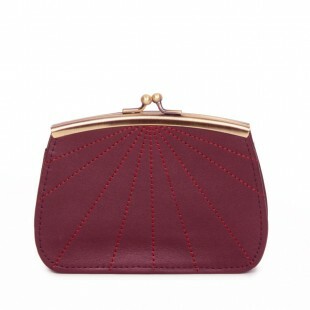 This stylish wallet makes you feel like the 1940s Hollywood starlet you were born to be. 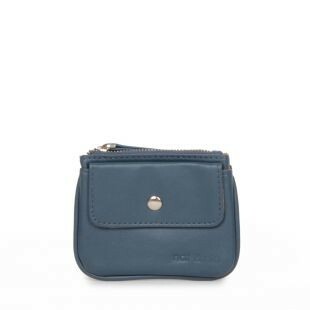 We love the retro clasp and discreet card compartments. 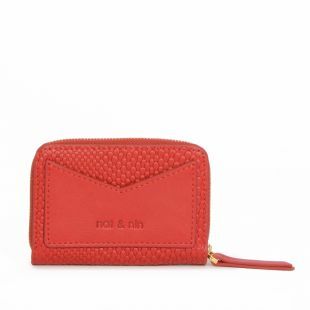 Stylish slotted leather card cases for all your essentials. 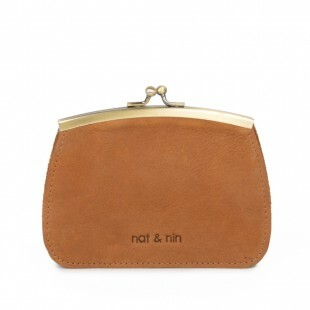 Read more Since 2005, Nat & Nin have been designing handbags, leather wallets and card cases for women, from their atelier in Paris. Nat & Nin uses only the highest quality Italian leather and partners with tanneries which guarantee the origin and traceability of the leather, as well as compliance with labor rights.